San Antonio is a perfection spot for vacationing families. 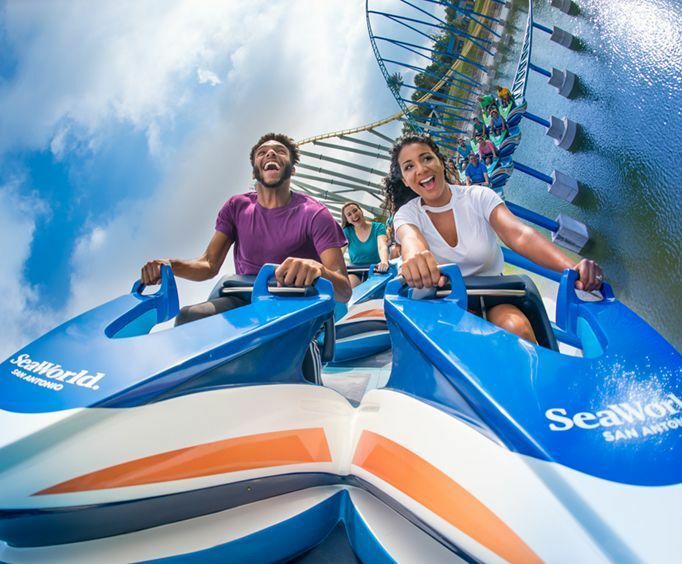 Whether it's visiting the Alamo, or spending the day at SeaWorld, San Antonio has enough attractions and activities to satisfy the whole family. IMAX Theatre at Rivercenter. Visit the Imax theatre where you can see "Alamo - The Price of Freedom" on an enormous screen with a sound system that makes you feel like you're actually there. The 45-minute film documents the battle of the 189 defenders who fought to save the Alamo and the siege that led up to it's eventual fall. Alamo Grand City Tour. If you're in San Antonio, you have to visit the Alamo and see Mission Trail. This eight and a half-hour tour will not only take you to the Alamo, but you'll go around San Antonio and see all of the famous sights. You'll also be treated to an IMAX Pass, a Buckhorn Saloon and Museum ticket, or a River Walk Cruise ticket to be used at your convenience during your stay in San Antonio. SeaWorld. Come and see all of the animals who call SeaWorld their home. You'll see seals, sea lions, sharks, eels, flamingos and more. 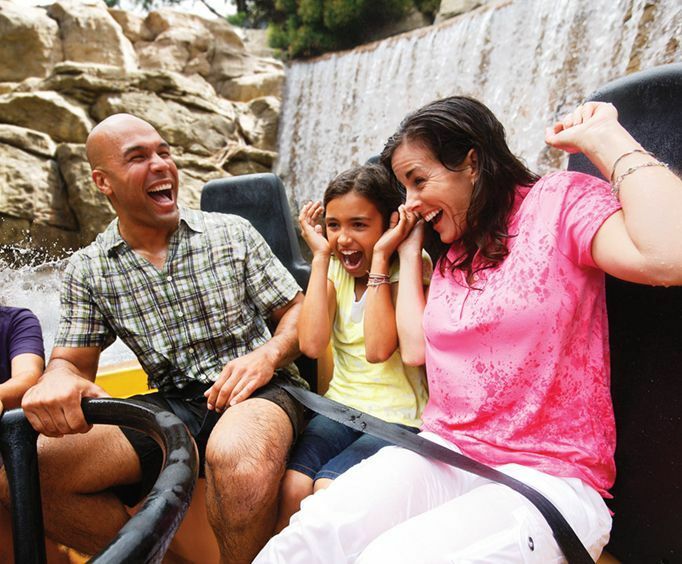 SeaWorld doesn't only have animals; there are thrill-rides and shows galore, not to mention a water park. Backstage tours are available and you can learn how the animals are taken care of and trained. You'll even be able to touch live stingrays and sharks. Stop by the Shows Park and you'll be able to see the world-famous Shamu. And don't forget to visit the parks 3-D Sea Star Theatre! Buckhorn Saloon and Museum. Located just two blocks from the Alamo, this museum was voted the best attraction by the Downtown Alliance/San Antonio. This museum will take you through more than 120 years of history. This two-story museum offers unique exhibits such as a two-headed calf, fish from the Seven Seas, cowboy memorabilia and more. Stop by the gift shop where you'll be able to buy authentic Buckhorn souvenirs. Six Flags Fiesta Texas - San Antonio. 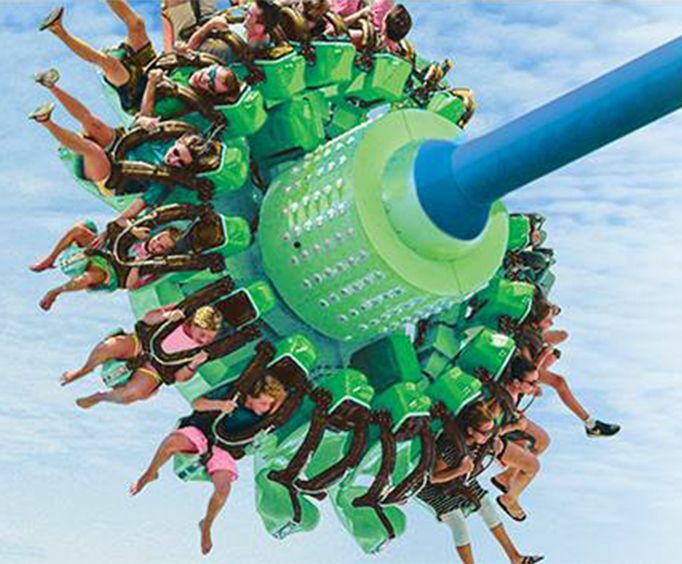 Visit this 200 acre theme park, where you will find a thrilling variety of adult and children's rides. The park is broken up into different themed areas that reflect the different influences on San Antonio culture. (Though you'll probably be having so much fun, you won't even notice this neat design twist.) You can stop by Los Festivales, which is a Hispanic village, the early western town of Crackaxle Canyon or the German Spassburg. The entire family will enjoy the Scooby Doo Ghostblasters, an interactive family ride through the dark. Brackenridge Park. All in a few (hundred) fabulous acres, you'll find the San Antonio Zoo, the HEB Science Treehouse, and the Kiddie Park. (Mom and Dad will also love the Botanical Gardens, the Japanese Tea Garden, and the Golf Course.) You can pack a picnic lunch and eat at one of their picnic areas, or take a family stroll along one of the miles of jogging paths. Holiday Inn Riverwalk. The kids will eat free at the Holiday Inn Riverwalks' on-site restaurant Windows on the River, and parents will appreciate the high-speed Internet access, cable television, coffee & tea maker, free newspaper each morning, and other convenient amenities. The hotel also offers an outdoor pool. Ramada Inn Seaworld. The Ramada Inn Seaworld is just 15 minutes from Six Flags Fiesta Texas and Downtown San Antonio, home of the famed Alamo and Riverwalk Paseo Del Rio. The hotel features a Lobby Cafe, an outdoor pool and sun deck, and High Speed Wireless Internet is available to all guests. All guest rooms are equipped with coffee makers, hair dryers, iron and ironing boards, microwaves and refrigerators, and 75 channel Cable TV. Comfort Suites Downtown. This hotel is an excellent choice for any family. The first-class hotel is located in the cultural center and is only a mile from downtown San Antonio. The hotel features a free continental breakfast. Rooms offer microwaves, phones with data ports, refrigerators and cable TVs with remote control. Fiesta texas is by far the best amusement park in texas, let alone san antonio. Sea world doesn't even compare. It's just the right size, first of all. It's just big enough to have more than enough fun things to last you up to three or four days at a time, but just small enough to where it isn't overwhelmingly large and also too far of a walk to get anywhere. Add that to the fact that the rides and water slides are phenomenal, and you'll never want to leave. Had a great time. It was a goof thing they had a water park inside because it was so hot we ended up in there. Had a great time!